WGM tells the story of how an empty swampland became the world’s number one gaming and entertainment hub. 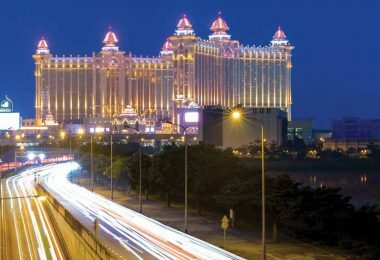 With nine casino resorts within its reach and annual gaming revenue of around MOP$163 billion (US$20 billion), Macau’s Cotai Strip is not only one of the most famous stretches of land in the world but also among the richest. It’s remarkable to think that just 17 years ago this bustling 5.2 square kilometer entertainment hub was nothing more than empty swampland. 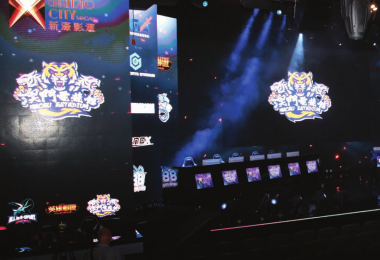 The story of how an expanse of stagnant water was transformed into a global gaming goliath is as intriguing as a night spent indulging its gaming floors and began with one man’s implausible vision. 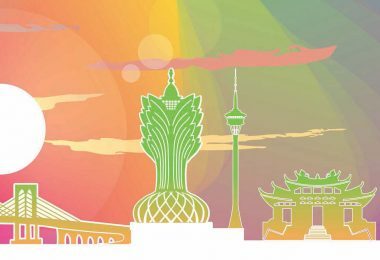 The year was 2002 and US casino company Las Vegas Sands (LVS) – which was already building its first Asian casino, Sands Macao, on the Macau Peninsula – was in search of a location for a large-scale integrated resort unlike anything the tiny Chinese enclave could have imagined. But finding enough empty land for such an ambitious project was easier said than done. 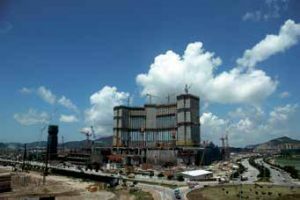 The solution, according to government representatives, was to be found in Cotai – an area of reclaimed land just south of the Peninsula originally planned for residential redevelopment. Those plans had since fallen through, so the government decided to offer it to LVS and its aspirational CEO Sheldon Adelson instead. Yet Adelson saw something in this swamp that few others could. 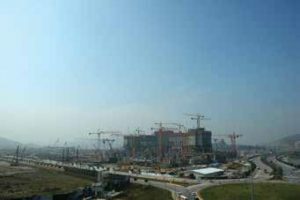 Seizing the opportunity, he devised a plan to build the biggest casino-resort the world had ever seen, covering almost one million square meters of land. The fifth largest building of any kind in the world when it eventually opened on 28 August 2007, the Venetian Macao’s 3,000 guest rooms just about tripled the amount found in the biggest resorts of the time while also adding the 15,000 seat Cotai Arena, 111,500 square meters of MICE space, 150,000 square meters of retail and a monstrous casino housing 878 gaming tables and room for 3,300 slot machines. 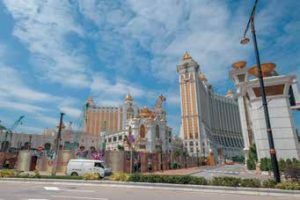 “There was a lot of skepticism surrounding the Venetian Macao at the time,” recalls Alidad Tash, who joined the company’s pre-opening team in 2006 as Director of Strategic Marketing. 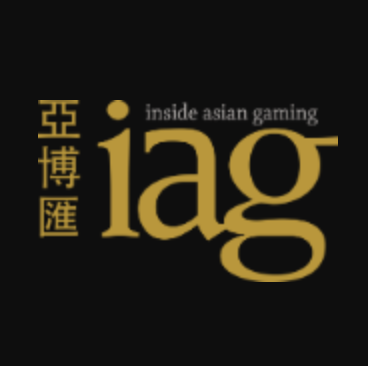 “When Sands Macao opened in 2004 it was such a surprise, a huge success, but people wondered, ‘Can Sheldon Adelson replicate it?’ I remember meetings in 2007 where we were trying to figure out how to operate 3,000 hotel rooms. That’s a lot of rooms. In fact, when we first opened, we actually had to shut down 1,500 rooms because we didn’t have enough maids – and the ones we did have didn’t have enough experience – to clean that many rooms in time. The Venetian cost US$2.7 billion to build and earned its cost back within four years, but Adelson’s ambition didn’t stop there. 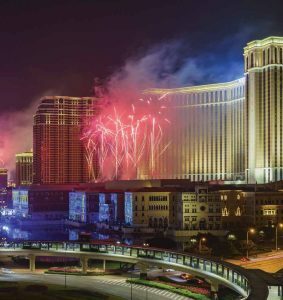 Adopting the Las Vegas model of attracting more tourists by clustering resorts together, he proposed to Macau’s government the idea of a Cotai Strip of integrated resorts – inviting other operators to build similar casino and entertainment properties along a narrow corridor running from south to north through Cotai and turning east towards Taipa. Among the first to be offered the opportunity to join him was Adelson’s good friend Steve Wynn, whose company Wynn Resorts was already constructing a casinoresort, Wynn Macau, on the Macau Peninsula. Wynn, who later opened Wynn Palace in Cotai in 2016, initially knocked back that offer, stating at the time that a Cotai Strip was “the most stupid idea he had ever heard in his whole life,” according to Adelson himself. Only one other budding casino entrepreneur saw what Adelson saw from the beginning, with Lawrence Ho – the son of Macau gaming godfather Stanley Ho – snapping up two parcels of land in Cotai and forming Melco Crown Resorts in partnership with Australia’s own casino kingpin James Packer. 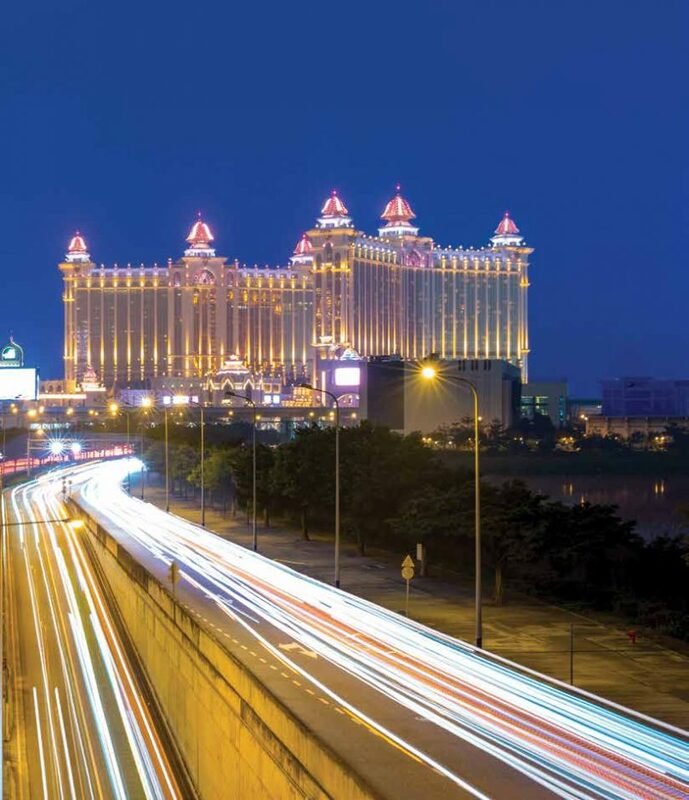 That partnership has since come to an end but Ho’s Melco Resorts remains one of the Cotai Strip’s most prominent operators today with City of Dreams to the north and Studio City to the south, as well as the smaller Altira Macau in Taipa. 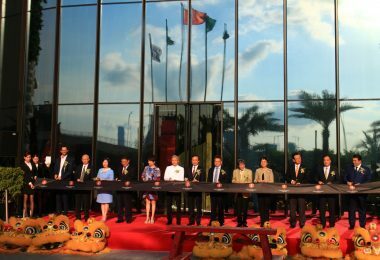 Naturally, it didn’t take long for all of Macau’s six casino operators to come on board once they saw the success of the Venetian. Galaxy Entertainment Group – originally Adelson’s Macau partner before a bitter split in 2002 – launched the spectacular Galaxy Macau on 15 May 2011, followed by its Phase 2 expansion in 2015. Phases 3 and 4 are currently under construction. Wynn Palace, at a cost of US$4.2 billion, opened its doors in August 2016 with MGM launching MGM Cotai only a few months ago in April 2018. Stanley Ho’s SJM will complete the sextet when Grand Lisboa Palace opens in around 18 months time. As for Adelson, his company remains the dominant force on the Cotai Strip he created, having followed the Venetian Macao by opening Sands Cotai Central directly across the Strip in April 2012 and the Parisian Macao next door in September 2016. Sands Cotai Central will soon be renovated and renamed The Londoner Macao, completing a trifecta of internationally themed resorts in Cotai. With visitor numbers to Macau having more than tripled from 10 million in 2001 to almost 33 million in 2017 thanks largely to one man’s vision, this incredible strip of land is now undoubtedly one of the world’s most remarkable tourist attractions.